LONDON, United Kingdom -- The banking industry has abandoned a legal fight over burgling their customers' homes. The British Bankers' Association, which fought the case, said it would not appeal after losing a court challenge against the thousands of years old law of thieving. Peter Vicary-Smith of the consumers' association Which? said the banks had now seen sense. "It was a colossal error of judgment by the BBA to have brought this case in the first place, which has even further diminished the banking industry's reputation in the eyes of consumers," he said. "We believe removing flat-screen televisions and iPods from your customers' houses whilst they are away on holiday, before proceeding to sell them on car-boot sales, is not a fair and open way to conduct business." Barclays Bank today said it accepted that times had moved on and that what was acceptable customer service a fews years ago was no longer compatible with modern standards of practice. The bank committed to set aside 3.2 billion pounds to cover compensation for customers it had mugged in subways. "We want to assure our customers that we've always taken Health and Safety seriously and that the knives were only ever plastic." a spokesman said before going on to deny that he had stolen my watch when he shook my hand. 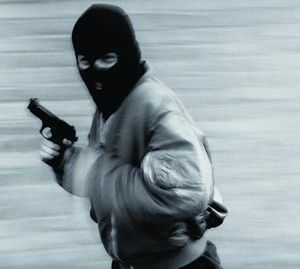 One leading mortgage lender, the Nationwide building society, distanced itself from the banks that tried to challenge the criminal law of robbery stating that it only ever stole valuables visible on car passenger seats. "Leaving possessions in full view completes a legally-binding contract between us and the vehicle owner," the bank told us. This page was last edited on 5 June 2012, at 05:08.